HPT hydraulic cone crusher is a high performance crusher by introducing German high-end technology, combining with the metal material properties. It is mainly used for metal mining, construction sand and gravel secondary crushing. 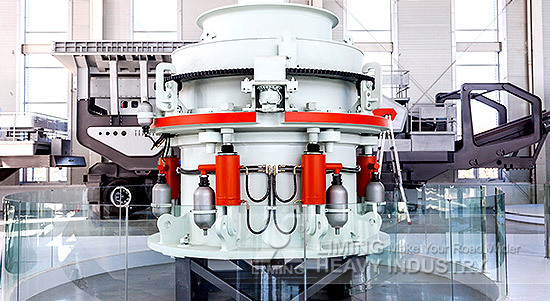 Because of its high capacity and production, it is used to crushing hard materials. Different from traditional cone crusher, HPT hydraulic cone crusher adopts special Laminating crushing principle. PYB1200 spring cone crusher minimum and maximum productivity are 110 t/h and 168 t/h, while HPT400 hydraulic cone crusher minimum and maximum productivity are 355 t/h and 700 t/h. PYB1200 cone crusher calibration discharge size is less than 20%, while the HPT400 cone crusher calibration discharge size is 68%. More HPT hydraulic cone crusher details and quotation, please send your requirements to us.